Apple is said to be in talks with North Carolina state government officials over the prospect of establishing its rumored second campus in the vicinity of the state’s popular “Research Triangle”. 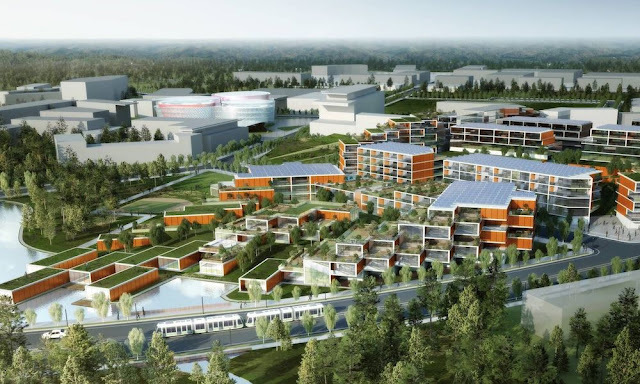 Citing various sources in the legal, real estate, and state government sectors, The Triangle Business Journal reported on Wednesday that the cities of Raleigh, Durham, and Chapel Hill — an area referred to also as Triangle Research Park — are currently at the top of Apple’s short list of potential locations for its upcoming campus development. The details of the process, however, are far from finalized, according to a CNBC reportwhich cites that Apple is still entertaining real estate offerings in other parts of the country, too. Still, CNBC reports that North Carolina Gov. Roy Cooper is presently “negotiating an incentive package” for Apple, should the company decide to set up shop in the proposed area. Other large companies with a presence in the Triangle Research Park area include Cisco systems, Qualcomm, IBM, Lenovo, Red Hat and Verizon, among others. Additionally, the region is home to several universities including Duke, The University of North Carolina and North Carolina State. Both Apple CEO, Tim Cook, and Senior VP of Internet Software and Services, Eddy Cue, are alumni of Duke University, where Cook delivered a commencement speech over the weekend. In comparison to Amazon’s highly-publicized multi-city bidding war for its future HQ2 Headquarters, Apple’s expansion plans have been relatively low key. Perhaps that’s because the company just recently finished work on its sprawling $5 billion ‘spaceship campus’ in Cupertino, California — but earlier this year, Bloomberg was first report the news of Apple’s plans to expand and establish a new “campus” in some other part of the country. That report in fact speculated that North Carolina could be among the few locations where Apple might consider setting up shop. Notably, the states of California and Texas were off the table from the get-go, as Apple currently holds its largest presence there. Meanwhile, back in January of this year, Apple announced its plans to develop a new facility somewhere in the U.S., as pursuant with its push to ramp up U.S. manufacturing and job creation. It’s unclear from today’s report whether Apple will in fact be establishing a new “campus” like its California HQ, or if the location, as previously reported, will for the most part house call-center staff.